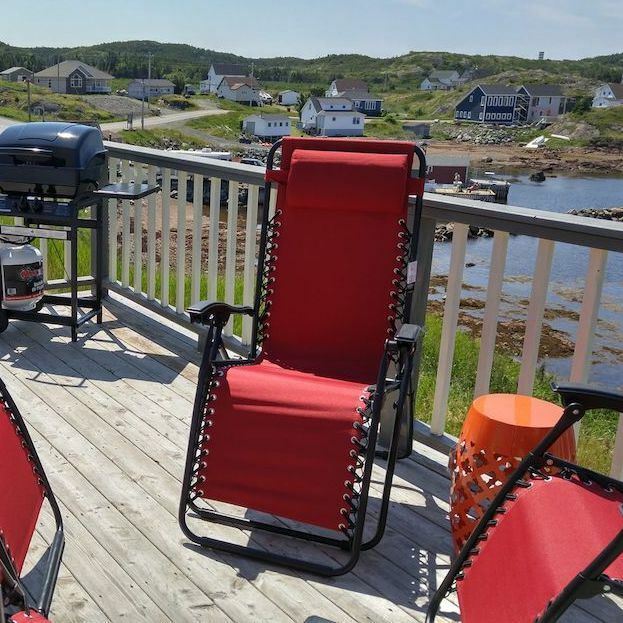 A Canada Select Licensed 3.5 Star home, Orabelle is a 100* year old cottage that has been renovated in order to preserve a little bit of Twillingate history. Originally Orabelle sat on the opposite side of the cove. Many moons ago she was moved by 300 men pulling her with ropes over log rails down the road, around the cove and up to the rocky hillside where she sits now overlooking Durrell Arm. Orabelle can comfortably accommodate 4 adults and 2 children. Provided are a fully equipped kitchen, bathroom w/laundry providing all amenities; 2 bedrooms w/1 queen bed and 1 double bed. There is also a double sofabed in the living room. Outside you will find a comfy deck with a propane BBQ. Wi-Fi, Cable and Smart TV, telephone for local calls are all here for your convenience. We do accept 1 dogs up to 50 lbs. and provide extra leashes, dishes and poo bags for your furry friend! We are located 6.5 hours from the Port aux Basque Ferry and 1.5 hours from Gander Int’l Airport. The Twillingate area has iceberg tours, whale watching, hiking, local entertainment and relaxation for you to enjoy! For more information please visit us at our website www.icebergalleycottage.com.